A twelve month Nationally Accredited Course in myotherapy practice in Australia. This qualification reflects the role of a myotherapist. Students will learn how to treat problematic musculoskeletal stresses, pain, and injuries. Myotherapy is a branch of manual medicine that focuses on the treatment and management of musculoskeletal pain and dysfunction. Students gain a greater understanding of human biology, musculoskeletal anatomy and function. Through training and clinical practice, students learn to conduct more comprehensive testing and physical assessments and apply a variety of practical skills such as myofascial release, dry needling, joint mobilisation, trigger point therapy, sports injury management and exercise therapy and rehabilitation. Myotherapists can practice independently or within a multi-disciplinary setting and are able to confidently treat a wide range of clients within their scope of practice without referral. Practitioners are recognised by participating health funds for Myotherapists and Remedial Therapists (as provided by HICAPS). Graduates are recognised by the following professional complementary medicine associations for accredited membership. Graduates who maintain accredited membership are eligible for provider status with most private health insurers (health funds). 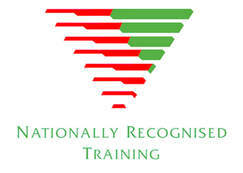 HLT52015 Diploma of Remedial Massage from the HLT training package. Students with prior learning, studies, work and or life experience may qualify for recognition or credits (RPL) for modules and or units within this qualification. Please enquire with the Australian School of Remedial Therapies administration prior to course commencement. 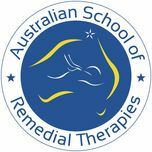 The Australian School of Remedial Therapies shall deliver this course over a period of 48 weeks, and will consist of a supervised amount of training, as well as personal practice, research, assessment preparation and self-directed learning activities. To gain the award of 22316VIC Advanced Diploma of Myotherapy participants must complete an achieve all nine (9) units of competency. Participants who do not complete the full course will be awarded a Statement of Attainment listing those units that they have successfully completed. Where applicable students are responsible for additional costs for towels, transport and or protective clothing. Forward the Student Registration Form with the Registration fee of $200.00 to the Australian School of Remedial Therapies administration prior to course commencement. If you would like to find out more about the details of this course, the class facility or to address your personal questions, please email admin@asrt.edu.au or ring 0297632388 or text 0416286899 to arrange an appointment. Units may be assessed using a combination of written work, submitted assignments and research, tests, quizzes, written and practical examinations, practical application, class participation and attendance, scenarios and participation in clinical practice programs.